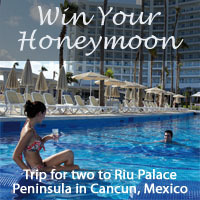 Planning a honeymoon and want to escape stateside? From luxury spas to once-in-a-lifetime experiences, these destinations have plenty to offer for any newlywed couple. Dubai offers plenty of options for those that want to experience international travel in a luxurious yet adventurous way. Stay at the Anantara Spa, an Asian-inspired sanctuary that boasts a traditional Turkish Hammam, or the Bab Al Shams Resort, a spa hideaway that offers drives through the dunes or camel rides. Thrills await at Skydive Dubai, where you can glide out of a plane 13,000 feet over the Palm Jumeirah, while Ski Dubai is an indoor ski resort with five runs – snow penguins included. Nestled at the end of Little Deadman’s Beach, Peter Island Resort & Spa has plenty of extravagances with exhilarating experiences built-in. Relish a beach picnic or hike along the 3-mile Sunset Loop route. The Anegada Beach Club’s beach tents have king canopy beds, showers and ocean views. Nearby on Virgin Gorda’s north shore, The Baths granite boulders form must-soak-in sea pools. Outdoor adventures await at Gorda Peak National Park, the highest point on Virgin Gorda with spectacular panoramic views. 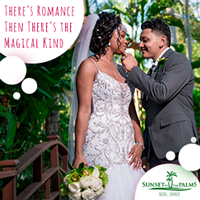 You don’t have to go to the tropics for a great honeymoon. British Columbia has become a popular choice for honeymooning couples, with its breathtaking scenery and abundance of activities. Whistler’s summer hikes and winter snow sports are great at the Four Seasons Resort. Or you can venture into the upscale wilderness Sonora Resort, which boasts a spa and eco tours that feature orcas and grizzly bears. Check out the Peak2Peak Gondola, which connects Blackcomb Mountain to Whistler Mountain and is the longest and highest lift on the globe.